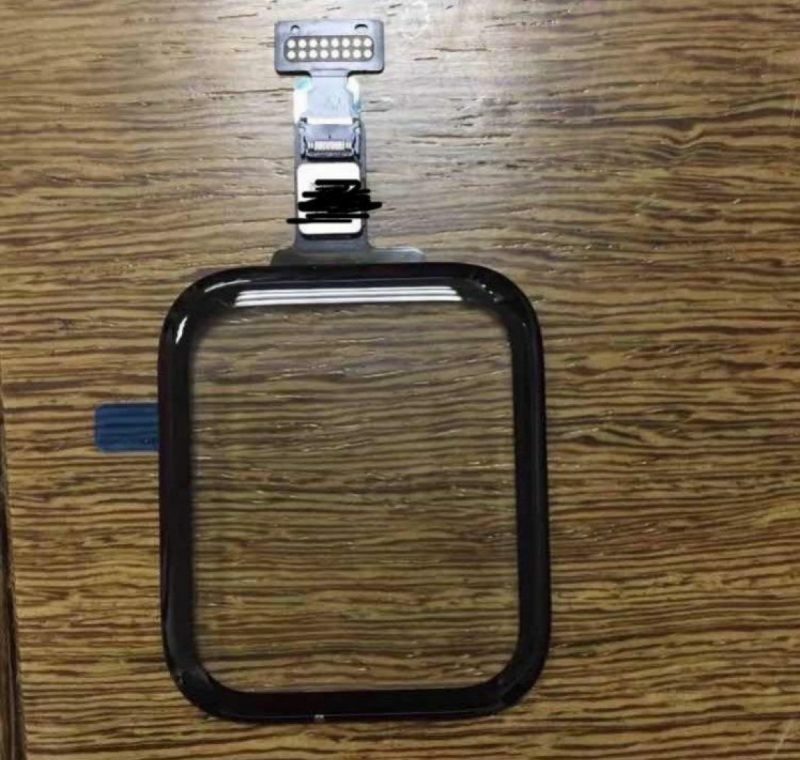 With anticipation mounting ahead of Apple's imminent product announcements later today, Slashleaks has shared an image of an alleged front panel belonging to the upcoming Apple Watch Series 4, which a leak this morning revealed will come in 40mm and 44mm sizes. Although it's hard to verify from the image alone, we do expect the new model to feature a display that's 15 percent larger than the one on the Apple Watch Series 3, a change implemented through a reduction in the size of the bezels of the device. The resolution of the new 40mm Apple Watch is still unknown, but data found within a beta version of watchOS 5 suggests the 44mm version will feature a resolution of 384x480, up from 312x390 in the current 42mm Apple Watch models. Apple's "Gather Round" event will kick off today at 10:00 a.m. Pacific Time, with Apple planning to live stream the product unveiling on its event website and through the Events app on the Apple TV. Yup. This is pretty much how it will lay out based on the original case design and rumored pixel dimensions, with up to an extra mm on the top and bottom to balance out the bezel symmetry -- which also gives them two more mm inside for battery and stuff.